Musical historians like to credit four lads from Liverpool with being at the vanguard of the 1960s’ cultural revolution. However, there’s no denying the cultural impact that four long-haired actor/musicians performing as THE MONKEES had on a generation weaned on American television during that same decade. For a TV show that Dolenz describes as being about “an imaginary group that lived in an imaginary beach house in Malibu that wanted to be The Beatles,” The Monkees have gone on to enjoy very real success over their 50-plus year history. Despite being a pre-fab foursome pulled together solely for the purpose of the television show, The Monkees – Micky Dolenz, Davy Jones, Mike Nesmith and Peter Tork – and their producers relied on an A-list team of songwriters including Tommy Boyce and Bobby Hart, Neil Diamond, Carol King, Neil Sedaka and Carol Bayer Sager to craft their tunes . As a result of that quality writing, the band has sold more than 75 million records worldwide, with international hits including “Last Train To Clarksview,” “(I’m Not Your) Steppin’ Stone,” “Daydream Believer”, “Pleasant Valley Sunday” and “I’m A Believer.” Despite those astronomical sales numbers, Dolenz said it wasn’t until the band’s 20th anniversary reunion that he realized how impactful the music of The Monkees had been on an entire generation. The ongoing critical and commercial renaissance has continued to pay dividends for The Monkees, who helped expose the Jimi Hendrix Experience to American audiences when he opened for them during a U.S. concert tour in July 1967. For example, the band embarked on a 50th anniversary tour in 2016 that lasted seven months and included 66 concerts in four countries. That tour also lead to the release of The Monkees’ first original album in 20 years, the well-received GOOD TIMES. Featuring vocal tracks from Davy Jones, who died in 2012, the album is also noteworthy for the number of modern rock stars who collaborated with The Monkees on the project. Nostalgia for those halcyon days of the late 1960s continues to fuel the performance schedule for The Monkees alumni, with Dolenz touring both solo and occasionally with Mike Nesmith. 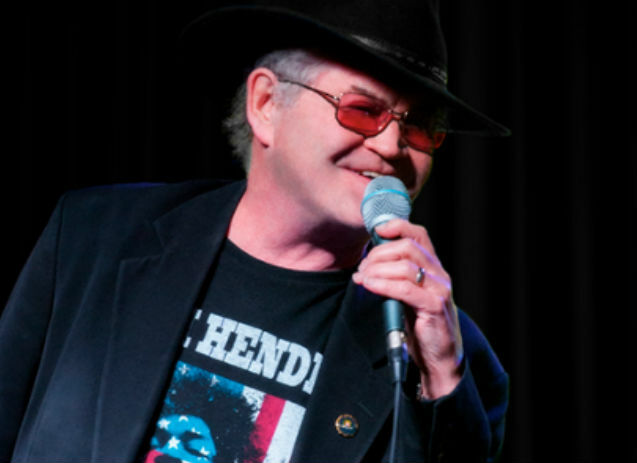 And while he says he doesn’t particularly enjoy the travel, Dolenz still thrives on the live performance, and he’s promising that true Monkees fans will have plenty to enjoy at the multi-media presentation being staged at Fallsview’s Avalon Ballroom.